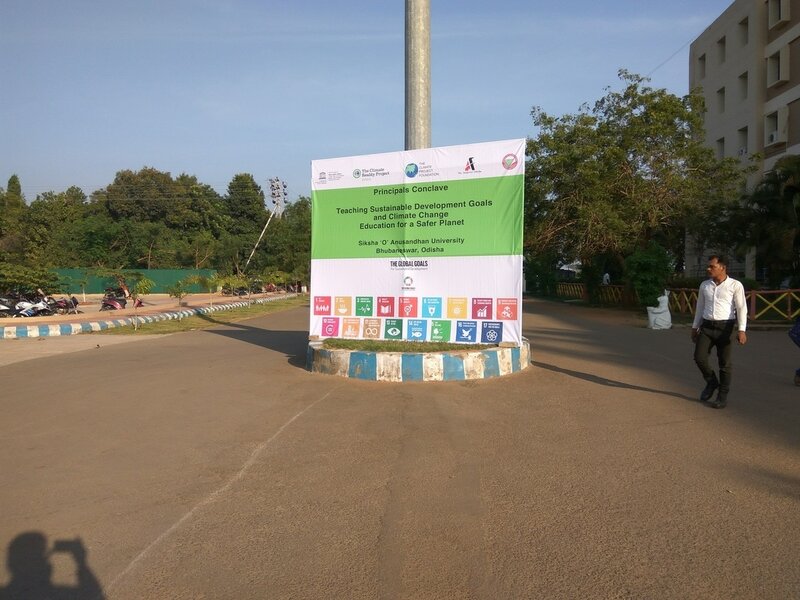 Odisha Chapter- Principal Conclave on ‘Teaching Sustainable Development Goals and Climate Change Education’ for safer planet. Climate reality India with support from UNESCO India has developed a new training program on Climate Change and Sustainable Development Goals. 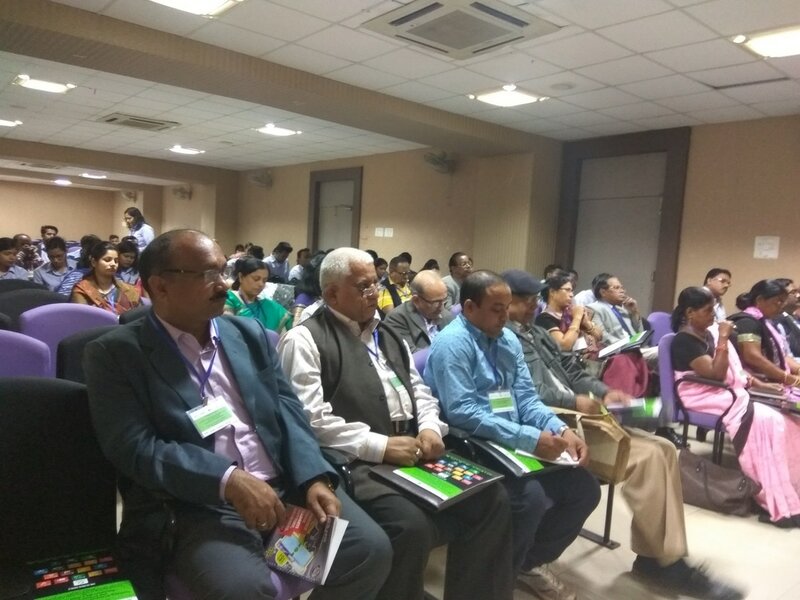 The uniqueness of this program is the top down approach, where school principals are first trained by organizing a conclave by Climate Reality India and the follow up workshops to schools will be conducted with the help of Climate leaders. 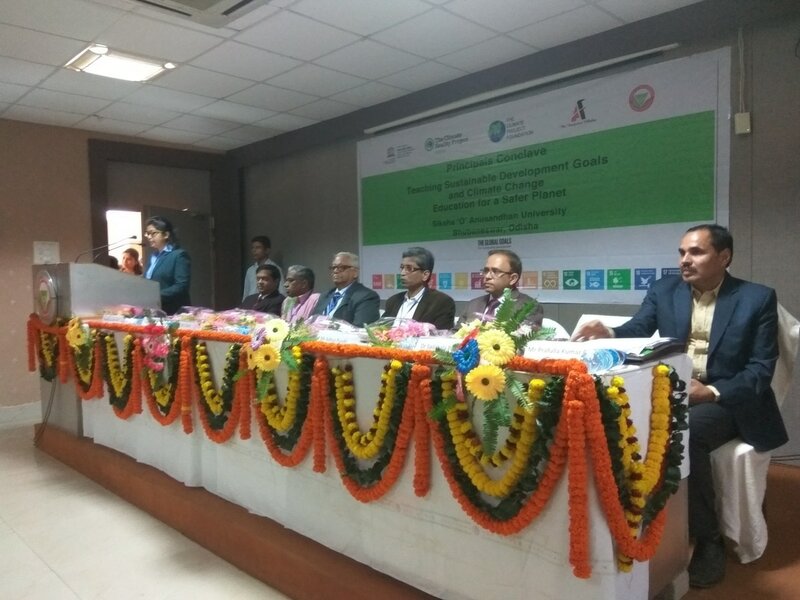 In partnership with Climate Reality Leader Mr. Prafulla Dhal of Analytic Odisha, The Climate Reality Project India organized the first Principals Conclave on the 9 th December 16 at Siksha ‘O’ Anusandhan University, Bhubaneswar, Odisha. The program was designed to explain in depth the United Nations Sustainable Development Goals and talk about the impacts of climate change. TAround 40 principals and teachers from public and private schools in Orissa attended the successful conclave. 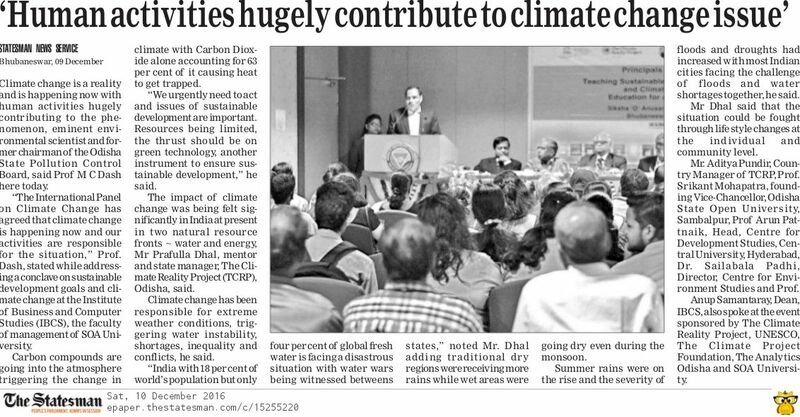 The program began with speeches by various eminent speakers, followed by presentations on SDGs and climate change and ended with a discussion on the way forward. The program has been much appreciated by the fraternity and follow up workshops in schools will be organized soon.